Discussion in 'Suggestions' started by Jase Wolf, Aug 5, 2018. @Bryan Can you tweak the dns to stop putting www infront when you don't put http/https infront. As it's constantly wanting you to sign in on every visit coming here with www infront. It doesn't do that for me at all, in Firefox or Chrome. What browser are you using? Anyone else having this issue? As far as I know, it is not being forced anywhere by DNS or .htaccess. Not doing that for me? Hm. I can't seem to replicate it either. Keep the browser updated LOL. Ok right mobile chrome on Android is fully updated and is still doing it with the forum, the non https is still constantly logging out afer a while. Whilst the https version works exactly as should keeping me logged in. Firstly I start having that issue on Chrome on Linux... now Chrome on Android. What next. Would go to https but it's annoying keep typing it lmao. I'm curious... how are you not on https? 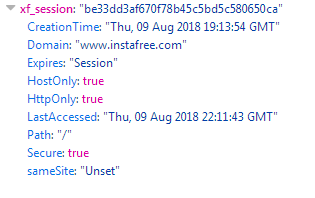 If I type in instafree.com and click forum or type instafree.com/community it automatically redirects me to https. Maybe I'm missing the issue, that happens sometimes. Woooooosh. Yea the homepage directs to the https version but typing the address itself without https keeps putting www infront and not https so it's not https version which is what constantly keep logging out lmao. Oh for me typing in instafree.com/community redirects to the https version. That's odd. Still not having that problem in any browser. No idea what might be causing it. Edit: To be clear, I have no idea what methods XenForo uses for authentication or sessions. Just brainstorming! # NOTE this account's php is controlled via FPM and the vhost, this is a place holder. # Do not edit. This next line is to support the cPanel php wrapper (php_cli). The DNS doesn't do anything at all. Does it with Chromium based and Mozilla browsers... not tried with Webkits, and well.. I bury IE in an air tight coffin. I'll try and pay more attention from this point on. Jase Wolf and Bryan like this. Oh man....that's awful. I would definitely love to get to the bottom of this and figure out why it's happening. I just don't see it being on the server side of things, as I can't replicate it at all, but who knows? idk if it got reset via the notification system or maybe after I clicked the links from the notifications prompting me to log in to this page again in order to post.